I am proud to be selected as the first female president of the European Advertising Academy. Our foundation is very popular, because of its annual ICORIA conference with top papers and a friendly European down-to-earth atmosphere. The coming two years as president, I hope to further strengthen our network, to encourage young academics to study advertising from different perspectives and to share knowledge. I hope to see you again in Zagreb in June 2013. The 11th ICORIA took place on June 28th-30th at the Stockholm School of Economics in Sweden. During the conference, Prof. Amna Kirmani of University of Maryland and Gustav Martner of CP+B Europe delivered insightful keynotes on the conference theme The changing roles of advertising and a total of 98 papers were presented. In all, 150 advertising academics and practitioners from 22 countries took part in the conference. Some impressions from the 11th ICORIA in Stockholm can be found in this gallery. At the General Assembly of the 11th ICORIA, which was held on June 30th, Edith Smit has been announced as the new President of the EAA. Edith follows Ralf Terlutter who served as the President since 2010. Also, the EAA board welcomes Sara Rosengren as a new member of the EAA board according to the voting of the EAA members in Stockholm. In addition, the members of the EAA board are Peter Neijens (Past President), Sandra Diehl (Treasurer), Tobias Langner (Information Manager), Robert Heath, Shintaro Okazaki (Publications), Patrick de Pelsmacker, and Martin Eisend. 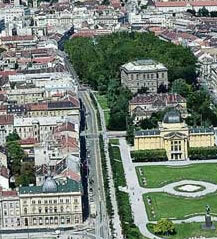 The 12th ICORIA 2013 will be held on June 27th-29th, 2013 in Zagreb (Croatia) – one of the most ambitious cities in Eastern Europe. 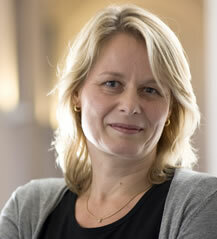 Chair of the 13th ICORIA will be Ivana Bušljeta Banks from the Zagreb School of Economics and Management (ZSEM). Papers should be submitted before March 15th, 2013 to: papers@icoria.org. The call for paper will be sent out briefly. 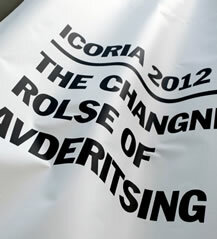 EAA is looking forward to the 12th ICORIA in Zagreb to add a new chapter of high quality advertising research. The EAA members Hanna Schramm-Klein and Gunnar Mau are the Guest Editors of a special issue of the Journal of Consumer Policy on ‘Consumer Socialization, Buying Decisions and Consumer Behavior in Children’. Papers should be submitted before October 31, 2012. 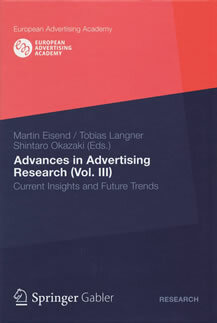 For further information please download the Call for papers from our website: www.europeanadvertisingacademy.org. Subsequent to his book Persuasive Advertising, J. Scott Armstrong also runs the website service adprin.com that summarizes effective evidence-based principles on advertising. The website comprises contents from the "Persuasive Advertising" book and also presents a repertory of links and references to advertising knowledge. The AdPrin website is free and addresses advertising researchers and practitioners as well as students: www.advertisingprinciples.com. The Charles H. Sandage Department of Advertising in the College of Media at the University of Illinois at Urbana-Champaign invites applications for a full-time Professor position. This is a tenured 9-month academic year appointment at the Full Professor level.